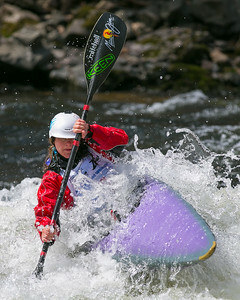 “It’s the closest reliable white water for me” says former US Freestyle Kayak Team member Jessie Stone of the Tariffville Gorge’s class III rapids. And for that reason the Connecticut native who now lives in Purchase N.Y. considers Tariffville her “home” training spot despite the distance from her actual home. 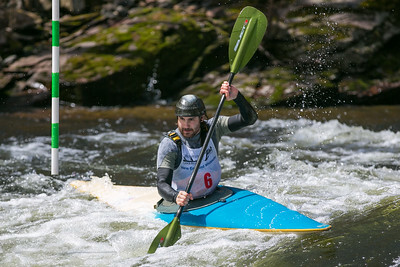 This past weekend Stone and a handful of other world class white water athletes and local die hard paddlers converged on the Tariffville Gorge for the White Water Triple Crown, a two day event that combines both racing and freestyle kayaking competitions. 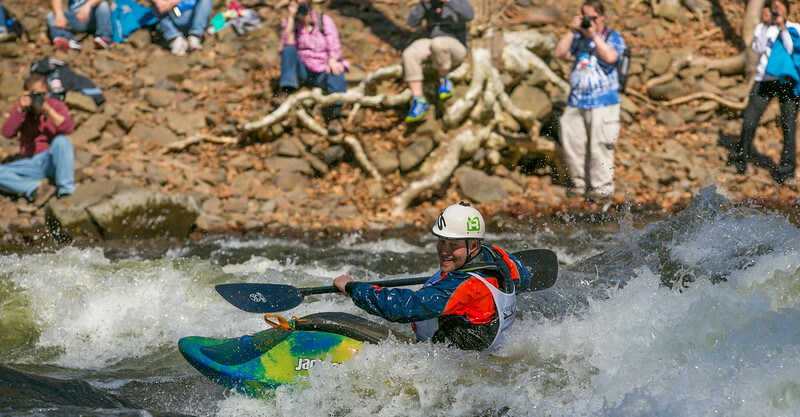 Though the competition consisted of only a few dozen competitors most agreed that the Triple Crown was probably the most significant white water event in the entire world on this particular weekend due to the caliber of the athletes in attendance. 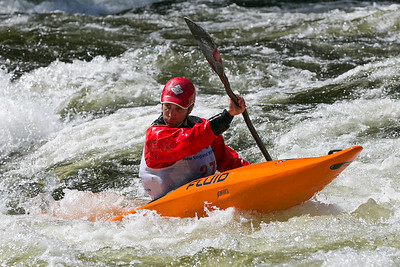 Some of the stars of the kayaking world that were on hand were Nick Troutman of Canada, a former World Champion of freestyle kayaking and star of many extreme kayaking movies; Emily Jackson of the USA, also a former World Champion in freestyle kayaking; New Zealand national team member Courtney Kerin and many others. 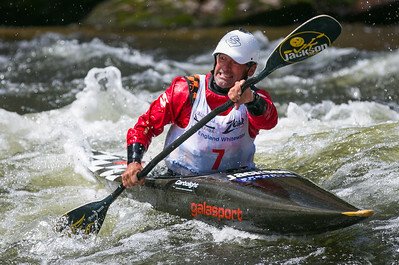 None however had a larger presense than Eric Jackson who’s name is practically synonymous with white water kayaking. 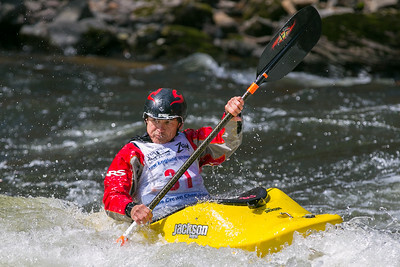 Jackson, a former Olympian and four time World Champion in freestyle kayaking is also the founder and owner of Jackson Kayaks which sponsored a number of athletes competing at the Triple Crown. 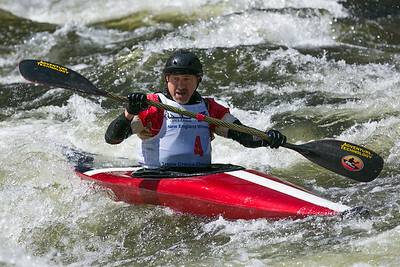 Despite being a 50 year old grandfather (via his daughter Emily who is married to Nick Troutman) Jackson won almost every category in Saturday’s competition. 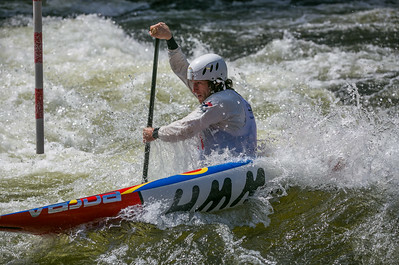 His slalom runs in particular looked graceful and effortless compared to the struggles of other paddlers. “He basically wins every year” said event organizer Andy Kuhlburg of of Jackson’s annual dominance of the Triple Crown. 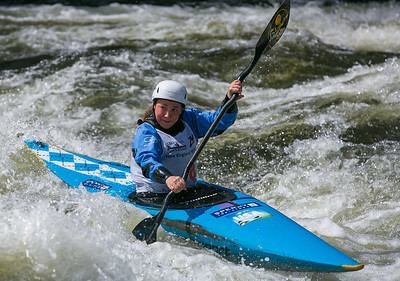 A massive RV and Mini-Cooper both emblazoned with the “Jackson Kayak” logo and loaded with a huge assortment of kayaks could be seen parked outside the event entrance all weekend. However the Triple Crown was not just for elite level athletes. A good portion of the field was made up of regional amateurs happy for the opportunity to mix it up with the visiting Pros. 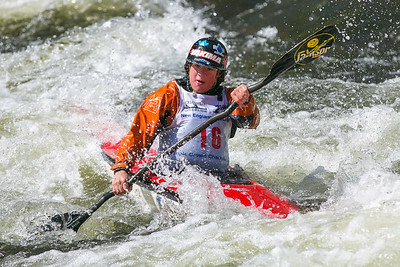 A situation that created some issues for the event’s organizers who needed to create a Slalom course that would be challenging for the top competitors but doable for everyone. “We’ve got World Champions, Olympic Champions, National Champions” said Gary Grosclaude who designed the course, “it’s hard to challenge everyone without over doing it. 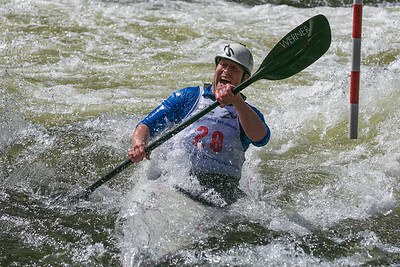 We may have overdone it a bit.” Indeed it was the final two gates, positioned in such a way that competitors needed to traverse the most violent rapids at a trajectory perpendicular to the current in order to succeed, that were rarely completed successfully. 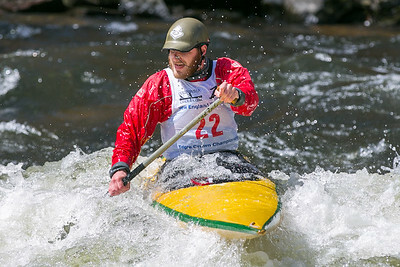 The White Water Triple Crown was a two day competition where the top finishers from Saturday’s event moved on to the finals on Sunday. 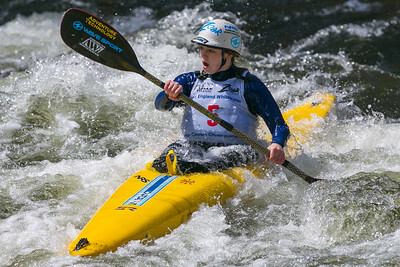 The weekend’s overall men’s and women’s champions were determined by a combination of scores in all three disciplines and awarded a top prize of $1,000. This year’s event was won by the father/daughter team of Eric and Emily Jackson who have each now won this event four times.